As a responsible person trying to lead a green lifestyle, you may be wondering how to buy green furniture. After all buying green means that you are doing your part to help keep the planet healthy. But there is another aspect to it: buying green furniture helps you to also keep your home healthy, because you are bringing in furniture that doesn’t put harmful substances in the air you breathe every day. The easiest thing to do is to look for FSC certified wood, which is now widely available. FSC certified wood is sustainable wood that has been harvested responsibly. How important is that? Simply put it means that forests are being maintained and precious ecosystems are not destroyed. Bamboo is a fast-growing grass and is widely used by green conscious manufacturers and designers. It is versatile and you can find it in many products from flooring material to furniture. Being so quick to grow back, it can be a never ending resource. Sometimes there is a concern about pesticide use, so if you are intent on buying green, make sure to ask if your bamboo product was treated. Reclaimed wood is usually reclaimed from old furniture, buildings, and bridges, and basically anything that used wood in its construction. It comes from other sources, too, such as discarded factory scraps, or logs that are reclaimed from rivers. Barnwood furniture is extremely sought after, and rightly so, as aged wood has its own richness and patina. 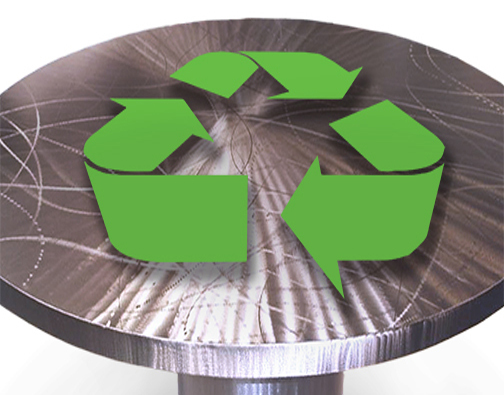 Furniture made from recycled metal and plastic is another option. Basically, anything that can be reused in any form can be said to be eco friendly. While this might seem to be too sweeping a statement, consider this: recycling means you are using fewer resources, and not condemning something to the landfills. With constantly improving technology you can be assured of quality as well. Repurposed furniture is also a good option. Buying furniture that is low-toxic or non-toxic, you cut down on toxic off-gassing. Toxic off-gassing can be even more of a hazard in a well insulated home, where toxins cannot escape easily. Look for Greenguard certification as a guideline. While you can always ask around about the materials used in making your furniture, looking for certification can save you time while providing you with guidelines. This is an easily overlooked, but important part of being green. However, when you buy good quality, well made furniture, you are buying green furniture. It will not have to be replaced for a long time. Even if you get tired of it, you can easily give it away or re-sell, and somebody else can use it. Poor quality furniture may be cheap, and seem like a good buy at the time, but you and the environment end up paying a price pretty quickly. Green furniture lends itself to easy recycling or disassembly. If a piece of furniture can be easily disassembled at the end of its life, the pieces can be recycled easily. Look for C2C or Cradle to Cradle certification such as found on Herman Miller office chairs. Buying vintage furniture could be the easiest way of buying green. Maybe the it wasn’t originally made from FSC certified wood, or comes without Greenguard certification, but used furniture has certainly been around long enough to finish off-gassing. Since you are saving it from a potential fate in a landfill, you are protecting the environment. Additionally, high quality vintage is always sought after, so it could potentially resell for close to the same price you bought it.